I walked in without knocking. The screen door banged to a close behind me, announcing my presence. I followed my nose to the kitchen and found Kaleb standing by the stove. He stirred something that smelled absolutely delicious, a wooden spoon in one hand and a huge chef’s knife in the other. “Are you sober?” I asked from the doorway. Some vampires are good. Some are evil. Some are faking it to get girls. Awkward and allergic to the sun, sixteen-year-old Finbar Frame never gets the girl. 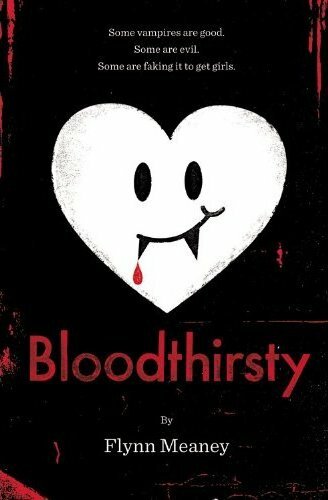 But when he notices that all the female students at his school are obsessed with a vampire romance novel called Bloodthirsty, Finbar decides to boldly go where no sane guy has gone before--he becomes a vampire, minus the whole blood sucking part. With his brooding nature and weirdly pale skin, it's surprisingly easy for Finbar to pretend to be paranormal. But, when he meets the one girl who just might like him for who he really is, he discovers that his life as a pseudo-vampire is more complicated than he expected. This hilarious debut novel is for anyone who believes that sometimes even nice guys-without sharp teeth or sparkly skin--can get the girl. I just love the sound of this book! 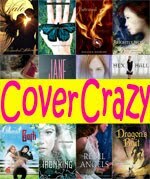 I enjoy a good vampire romance, but I can also appreciate a book that pokes fun at the genre. I'm hoping for lots of laughs and a cute romance. 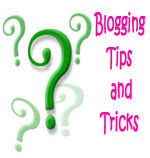 How to Maximize Links to increase your blog's page views! Ooh, somehow I missed that excerpt for Hourglass! Somehow I also didn't choose Hourglass as one of my 12 DAC 2011 picks... and I have no idea why now. Must add. I totally agree that the cover of Hourglass is creepy. I love the premise though and had this one on my wishlist even without reading the excerpt you posted. 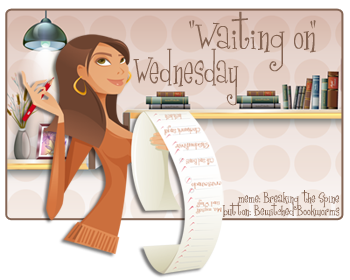 But now that you posted an excerpt, the wait seems even longer! Hourglass is a popular choice today! I'm looking forward to that one too! Hourglass sounds really cool. I love the time-travel aspect. And Bloodthirsty sounds fun. I actually didn't even bother to check-out what Hourglass was about until I saw the cover. Its very haunting/creepy but pretty at the same time xD. Bloodthirsty sounds like it'd be a fun read, I've never heard of it before. I have seen these books everywhere! I will put these on my tbr pile. Great picks! That Hourglass one, certainly looks different. I am intrigued, thanks for sharing. Both sound full of awesomeness! As for Bloodthirsty, I think it's fun to read from a guy's POV. It sounds really funny! As for Hourglass...wow! The cover is gorgeous and very mysterious. Love the premise, too. Terrific choices! I need to add Bloodthirsty to my reading list! Thanks for the rec, I love the cover and the sound of it. Hourglass sounds interesting, and the cover is wicked. I won Blood Thirsty's arc and can't wait to read this. Both of these books sound pretty good. 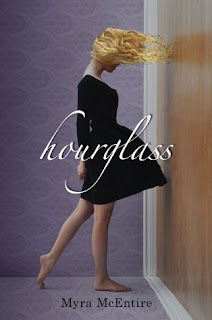 I love the cover for Hourglass, I've had it on my list for a little while. I've seen Blood Thirsty around a bit, but haven't read much on it yet. I've seen Hourglass on a lot of WOW it looks really good, the cover is REALLY strange! I'm not a fan of photograph covers though. Blood Thirsty sounds just too cute. I think it would be a light, humorous read. Also, its nice to have the MC be male. Thanks for stopping by everyone! I appreciate all the feedback about Bloodthirsty. 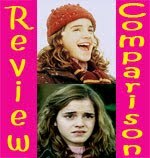 I agree, I like that it has a male main character. I'm hoping it's as funny as it sounds. Hourglass does seem pretty popular today. Hopefully it lives up to all the hype! Me too! I really like the way those two characters play off one another.